Deborah Sandidge: Found!!! 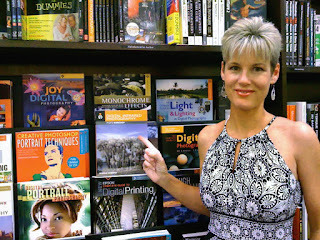 My new book in the bookstore! Found!!! My new book in the bookstore! Here it is, officially in the real world! Kind of exciting for me - so I hope you don't mind me sharing! What is my #1 tip for newbie IR shooters? You can find out in my book Digital Infrared Photography AND find out in my new course Digital Infrared Photography @ BetterPhoto I hope to see you online, class starts July!